This video shows how a rover collects information about Mars. It talks about the special equipment on the rover. The video also shows some of the information that the rover collected. In the first four minutes, this video shows how the rover lands. Also it gives us some good facts about the landing. This video is also helpful because it talks about the how the rover is landing. 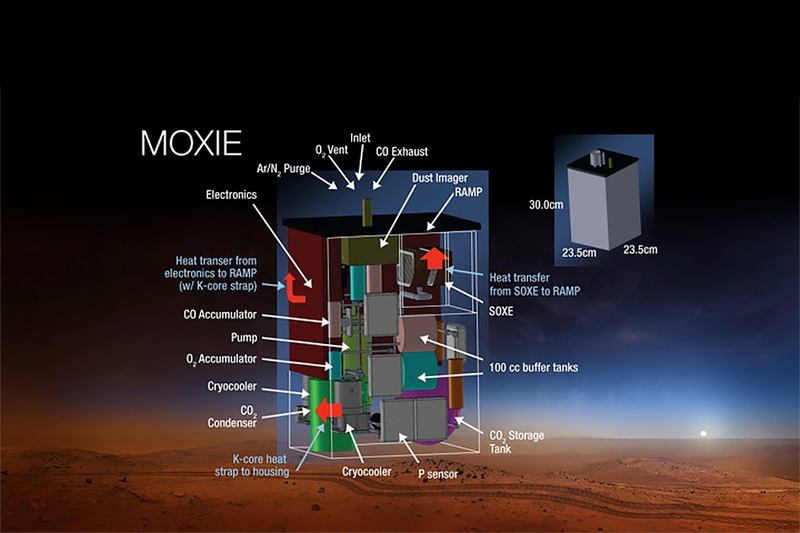 This picture is a part of 2020 Mars rover, which is called Moxie. It labels the inside parts in the Moxie and helps you understand the parts in it. One of the goals of the Moxie is to find out if life is possible on Earth. This is the Mars Polar Lander, this main purpose was to examine the soil on Mars to determine if it contains water. We chose this picture because it label all the parts on the probe. Some of the parts of the probe that are labeled can be helpful to collect information that we need to know.